Many Housewives are experiencing a situation where they are doing everything exactly according to the recipe, but baking does not work. The dough is too thick or too thin, causing the product is not baked through and out of the oven goes straight in the bin. The hostess was perplexed, because it took so much flouras needed. Possible cause of failure may be the fact that the amount of flour in the recipe was incorrectly measured. 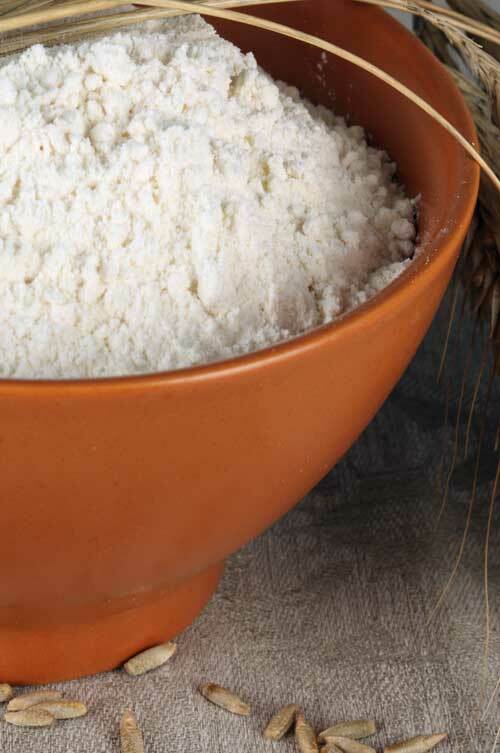 Flour is a granular product whose properties vary from variety to variety. And even the same variety produced in different regions may have different humidity. That's why the recipes specify the consistency to which you need to focus when mixing the ingredients. But, nevertheless, it is an error measuring the required amount of flour play a fatal role in the manufacture of baking. The most frequent value encountered in recipes - grams, spoons, cups and glasses. Always read the whole recipe before you get started. For example, when sifting flour significantly increases in volume, so one Cup Packed and one Cup of sifted flour will weigh differently. Capacity for flour have a certain volume. One Cup contains 240 ml, 1 teaspoon – 5 ml 1 tablespoon is 15 ml and 1 Cup is 200 ml. If in a recipe the flour is measured in cups, fill the Cup with flour, but not utrambovyvaya her. Drag the knife across the Cup to remove the flour hill. The hill in cups and glasses should always be removed, if the recipe does not say anything on this subject separately. 1 Cup of wheat flour of the first moisture standard accommodates 140 gr. And 1 Cup of flour would contain only 120 g of the product. Faceted glass filled to the edges, will contain 120, and 110 g of flour respectively. Measuring the flour with a spoon, scoop the product from the package and lightly tap the spoon to shake off the big peaks. You need to stay neat small hill approximately equal to the volume of the spoon. In the end, in a teaspoon you will have 8 grams of flour, in the dining room is about 18-20 grams. If you have correctly measured out the flour, strictly follow the recipe, you should do it, and you can proudly put fresh pastries on the dining table.